Tropics with Toddlers: Dining on Vacation! In this installment, our guest blogger Jess will tackle the ins and outs of dining on vacation with your little ones in tow. Sip, Savor & See Your Way Through Vacation at Dreams! The dining options at Dreams Resorts & Spas are many and varied. During a stay, guests can experience authentic Mexican, Asian, Italian, fresh seafood and more, all with ease! However, sometimes a person could use a “night out” and change of scenery. Luckily for Dreamers, as part of the Unlimited-Luxury® experience, guests may Sip, Savor & See at nearby participating resorts from 6 p.m. to 1 a.m. every evening! The options for your eating and drinking enjoyment are endless. 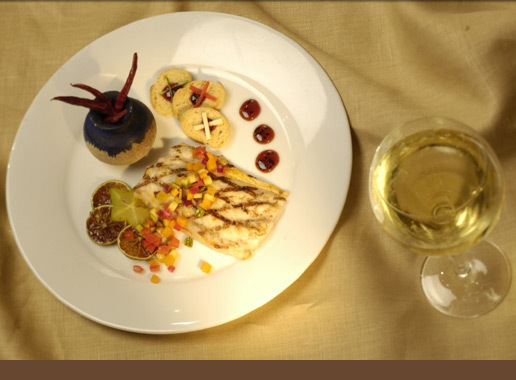 Experience never-ending gourmet cuisine and drink options during your trip to Dreams Resorts & Spas with Sip, Savor & See! 4. Have fun discovering what nearby resorts have to offer! It couldn’t be any easier to sip artfully prepared cocktails, savor delicious international cuisine and see exciting, live entertainment. Click here to view all participating resorts where guests may Sip, Savor & See. If this sounds like your kind of vacation, book your stay with Dreams Resorts & Spas before December 24, 2014 to take advantage of our Triple Play deal with savings of up to 50%, up to $400 in resort coupons and Kids Stay Free! Happy Travel Tuesday from Dreams Huatulco Resort & Spa! 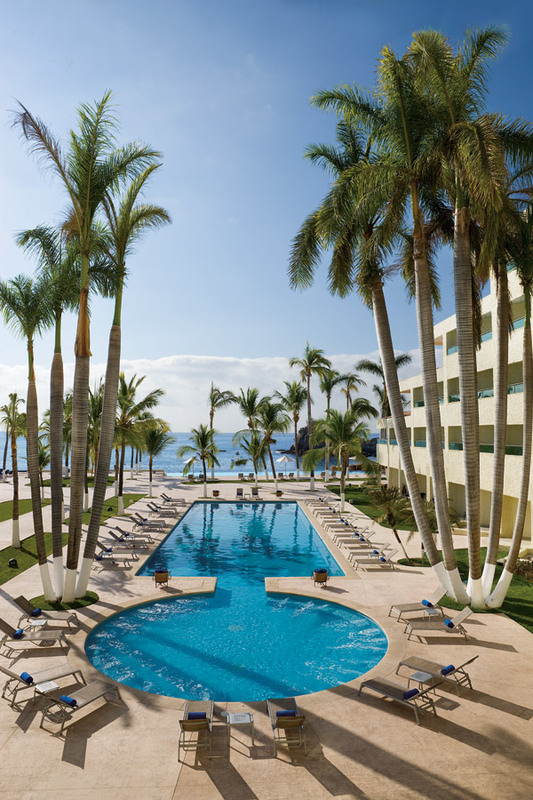 This Travel Tuesday we’re shining the spotlight on Dreams Huatulco Resort & Spa, located on the beautiful Pacific coast of southern Mexico. Surrounded by jungle, mountains and coral reefs, natural beauty and adventure abound at Dreams Huatulco. All guests are treated to the Unlimited-Luxury® experience, including 24-hour room service, gourmet dining at seven specialty restaurants, unlimited top-shelf spirits at five bars and lounges, pool and beach wait service, live nightly entertainment and so much more. 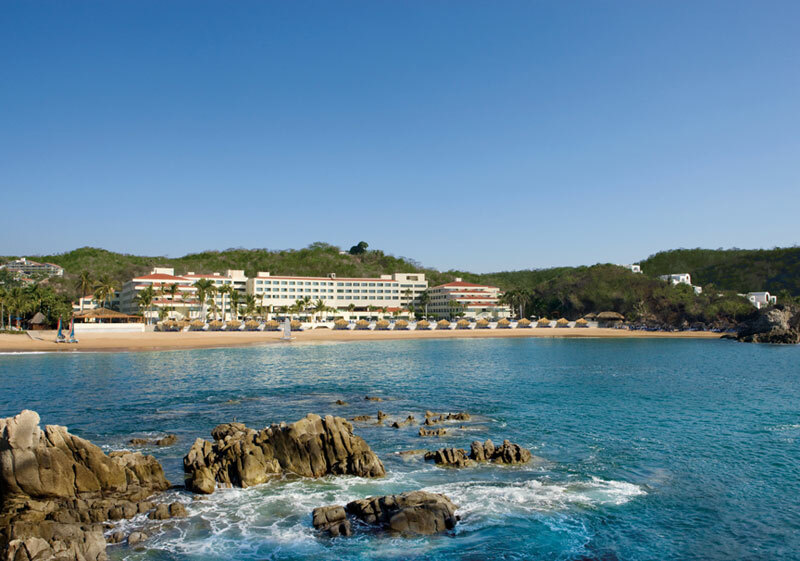 A fabulous panoramic view of Dreams Huatulco. 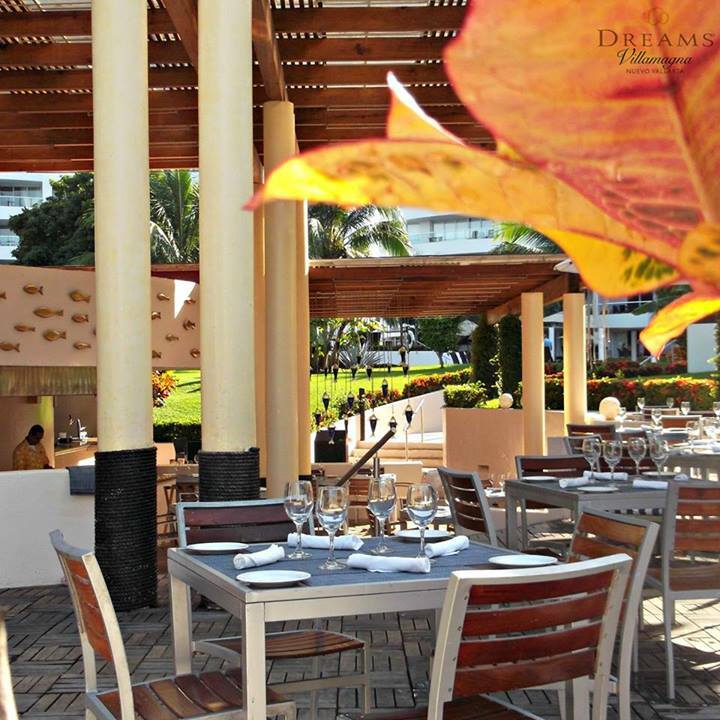 Dining at Dreams Huatulco Resorts & Spa is an experience you’ll never forget. With breakfast, lunch, dinner and a snack all included, guests may explore an international array of specialty restaurants or take advantage of the 24-hour room service to enjoy a private, romantic meal. With five à la carte restaurants to choose from, there’s something for everyone at Dreams Huatulco. Fresh seafood fans can head to Oceana, while adventurous foodies will love the authentic seafood at Himitsu. International and domestic top-shelf spirits, fine wines and ice-cold beer is available at any of the five bars and lounges found throughout the resort such as Desires music lounge, Barracuda ocean front bar, or Revive in the spa. 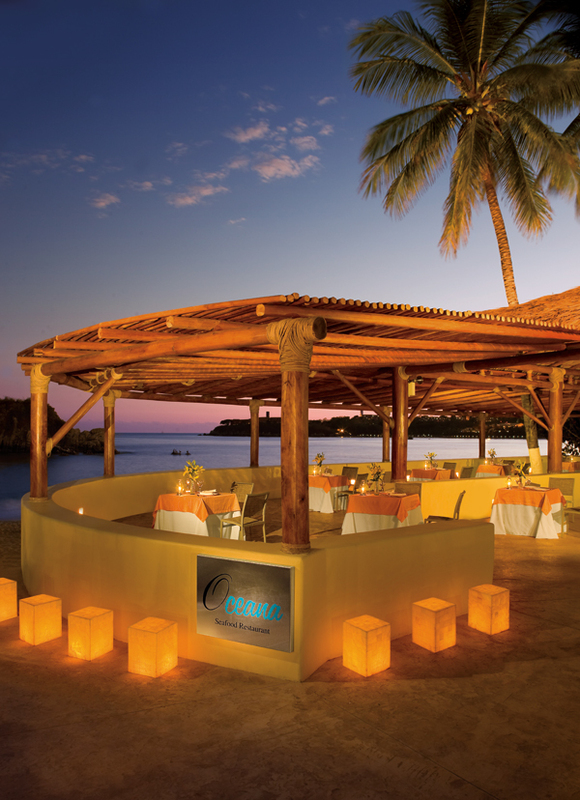 Oceana offers fresh seafood under a giant palapa overlooking the ocean. Speaking of the world-class Dreams Huatulco Spa by Pevonia, no vacation would be complete without some time set aside solely for pampering. 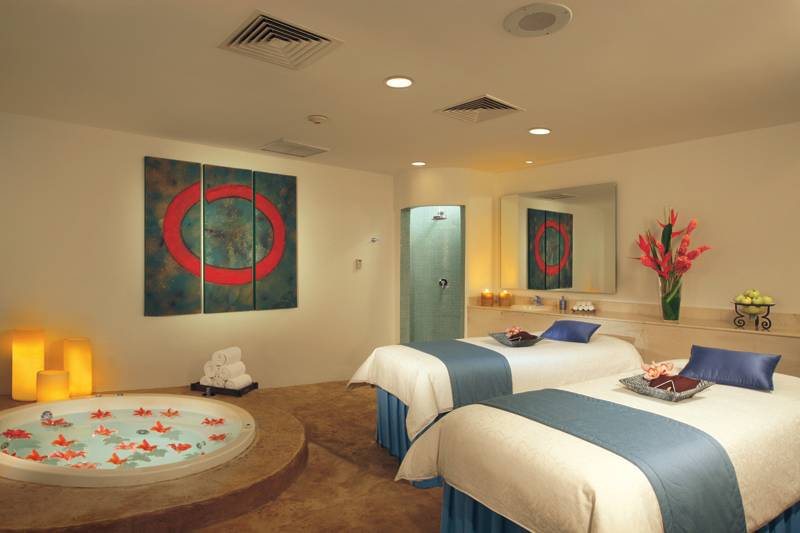 Dreams Huatulco’s on-site spa offers countless à la carte facial, body, massage and salon treatments. The Dreams Huatulco Spa by Pevonia even offers specialized treatments for teens and children. A couple’s spa suite at the world-class Dreams Spa by Pevonia. There’s never a dull moment at Dreams Huatulco, whether inside or out. Beach bums can catch some rays on our private stretch of beach or pristine pool. Those looking to expand their minds or gain new skills can participate in cooking, dancing, Spanish, painting, or ceramics lessons. Maintaining physical fitness couldn’t be any easier than at Dreams Huatulco with fun activities such as snorkeling, pilates, kayaking and archery. And when the sun goes down, Dreams Huatulco heats up with live nightly entertainment and theme nights ranging from a Rock ‘n Roll Party on the beach to Casino Night in Desires Music Lounge. 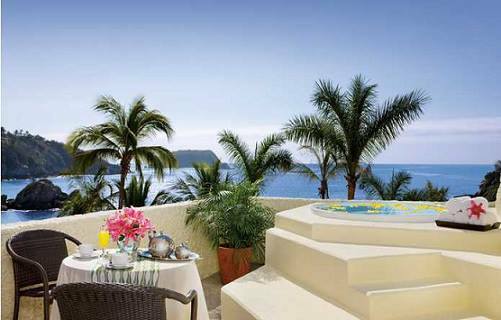 The shimmering pool and Jacuzzi at Dreams Huatulco providing exquisite ocean views. Dreams Huatulco Resorts & Spa also takes all the stress out of vacation by providing parents with the option to drop children off at the Explorer’s Club, a daily day-care program with a variety of supervised activities to keep young ones entertained while Mom and Dad relax and play. Finally, with Unlimited-Connectivity, you’ll never have to worry about losing touch with friends and family back home. The free app allows guests to make calls and send messages over the Dreams Huatulco Resorts & Spa WiFi network without incurring international roaming charges. There’s never been a better time to come experience all that Dreams Huatulco Resort & Spa has to offer. Book your stay with us today! The cafe tables are all set and ready for guests to arrive at Dreams Villamagna Nuevo Vallarta. 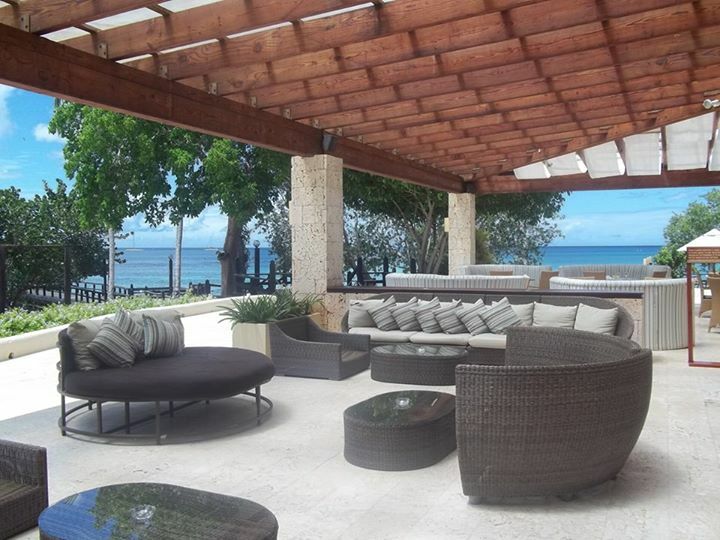 Sip on a cool drink under the shade of one of our lounge areas at Dreams La Romana Resort & Spa. 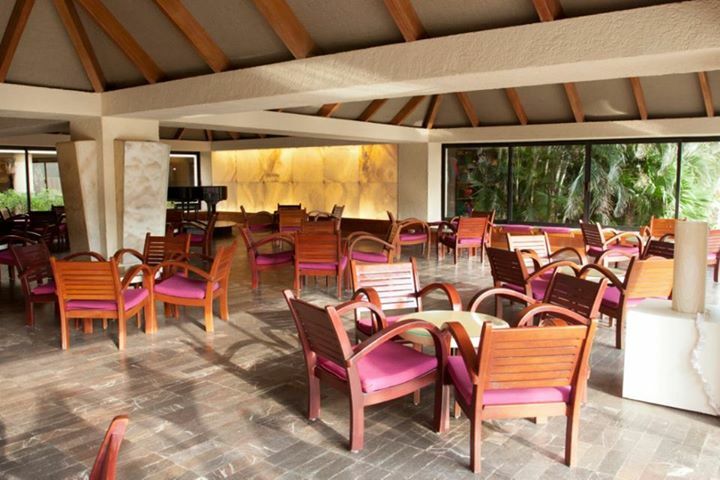 The Oceana restaurant at combines great food with the perfect ambiance for enjoying your meal at Dreams La Romana! 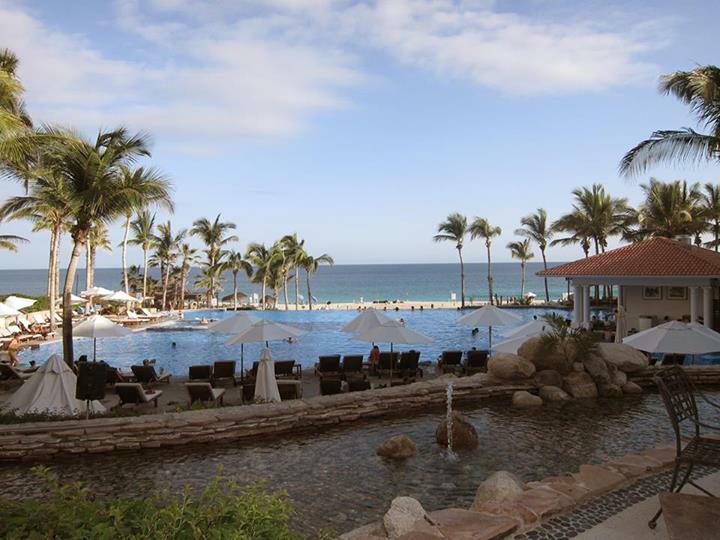 Dreams Los Cabos Suites Golf Resort & Spa offers magnificent ocean views while you dine. The lobby bar at Dreams Cancun Resort & Spa is the perfect place to grab a quick refreshment upon arrival. You can’t beat the seaside dining experience at Dreams Huatulco Resort & Spa. 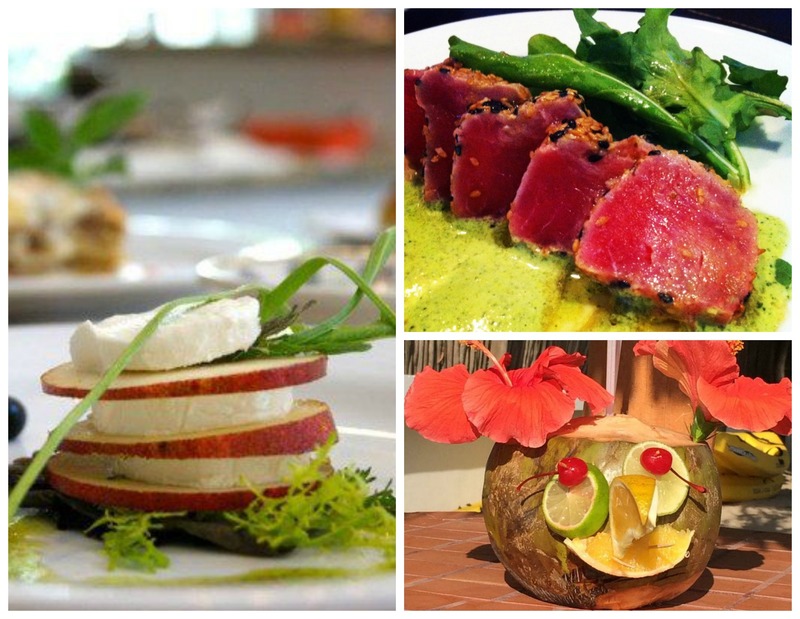 Ready to sample the flavors of our resorts yet? Visit www.dreamsresorts.com to book your stay today! 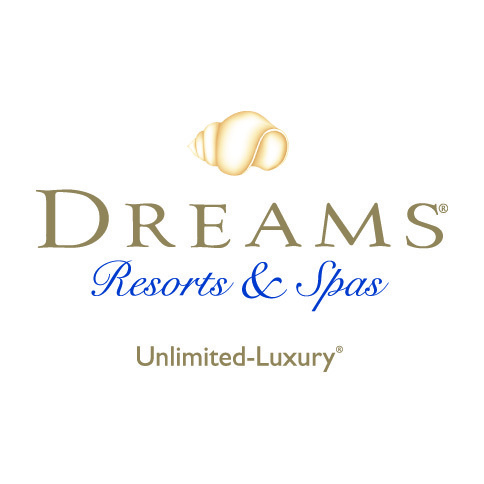 Dreams Resorts & Spas offer vacation experiences unlike anywhere else by giving each one of their guests the experience of Unlimited-Luxury®. Each resort’s grounds are flawlessly manicured and located on the some of the finest beaches. Our rooms are spacious, elegant and well-equipped, with the added comfort of 24-hour room and concierge service. Each resort offers dining options featuring some of the finest fare from around the globe in beautiful indoor and outdoor settings. And, last but not least, guests who choose Dreams Resorts & Spas for special occasions and celebrations experience the luxury of a perfect event, thanks to our attention to each and every detail! Each Dreams Resort & Spa location has a wide array of dining options including everything from local favorites to different cuisines from around the world. Guests have many options to dine outdoors in the breezy ocean air or inside beautifully designed restaurants. We have pool bars for quick bites and buffets if guests are in the mood for a wide variety of different foods. And don’t forget: everything is included and no reservations are required so feel free to try a little bit of everything and enjoy top-shelf spirits while you’re at it! You can spend your day in many different ways at Dreams Resorts & Spas, but you’ll definitely be relaxed no matter what you choose. You can spend time in your luxurious room, ordering room service and enjoying your advanced entertainment system, minibar and private terrace. You can kick back at the resorts’ wonderful bars and lounges, by the pool, or on the beach. We are sure you will be able to relax no matter where you decide to unwind, but for those committed to ultimate rest and rejuvenation, we suggest a trip to our world-class Spas. Our Spas offer a wide selection of treatments both for individuals and couples. Guests can enjoy an extensive list of hydrotherapy treatments, like whirlpools, soaks, plunges, waterfalls, pressure showers and more, depending on the resort. Individuals or couples can enjoy many different styles of massage inside our beautiful spa rooms, in spa gardens, or in the ocean breeze in an outdoor spa and massage cabins. Guests can also make appointments at the salons or spend some quality time in our saunas or steam rooms. No matter what you choose, you are sure to feel years younger at the end of a day in our Spas! No matter which location you visit, you are sure to be only a few steps away from a gorgeous, pristine beach. Water lovers can try snorkeling, windsurfing, kayaking, ocean trampolines and other non-motorized water sports within the resorts. 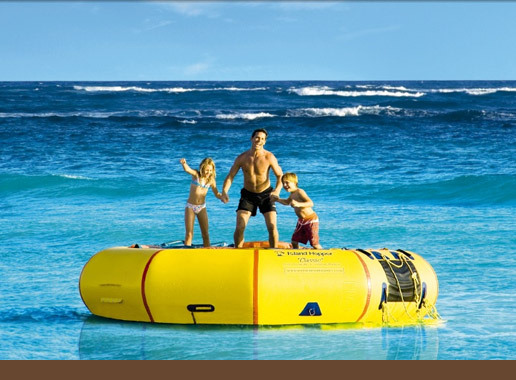 Nearby, guests can go scuba-diving, fishing or parasailing. To get a break from the sand, take a dip in one of our shimmering pools. Choose to go biking, take cooking and dance classes, or play indoor games. In the evenings, we host gala parties, have all kinds of different live entertainment, music and dancing, and even movies under the stars. And for the kids ages 3 through 12, we have our Explorer’s Club, full of fun and educational activities all day long like sand castle building competitions and treasure hunts. Check with your concierge for specific activities for each resort. 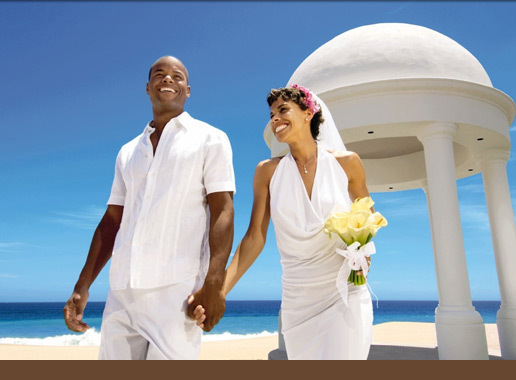 Dreams Resorts & Spas are very popular locations for weddings and honeymoons and really, is there anywhere better? 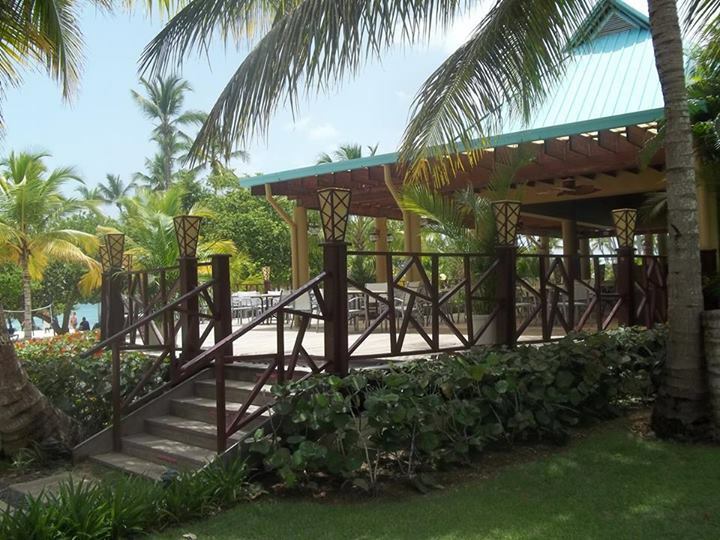 Each resort has a gorgeous beach, lovely grounds, great gazebos and chapels, and beautiful indoor venues. With options like these, you’ll have a hard time finding anywhere that will make your special event any more beautiful. Another great part about having your special event with us is that we have professional wedding and event coordinators to help you with every last detail. You can rest assured that your event will go flawlessly, thanks to our tried and true professionals. And another great perk: most wedding packages at Dreams Resorts & Spas come with free nights to return over your first anniversary! All of this is just a glimpse of the all-inclusive Unlimited-Luxury® experience that comes along with staying at Dreams Resorts & Spas. We hope to give you a first-hand experience of exactly what unlimited can mean soon! Book your next Unlimited-Luxury® vacation today! Vacation is a time for relaxing, spending time with family and friends and devouring delicious food! If you’re a foodie and just can’t get enough of the food we offer at the Dreams Resorts & Spas you’re visiting, you will be sure to love our Night Out Dine Around Program. In order to participate, all guests need to do is speak to their resort concierge, who will make all the necessary arrangements, including restaurant selection, and arrival and return times. The program is currently good for one evening of dining during your stay with us. If you’re visiting us soon, don’t hesitate to take advantage of this great opportunity and come enjoy an evening of delicious food and great entertainment!